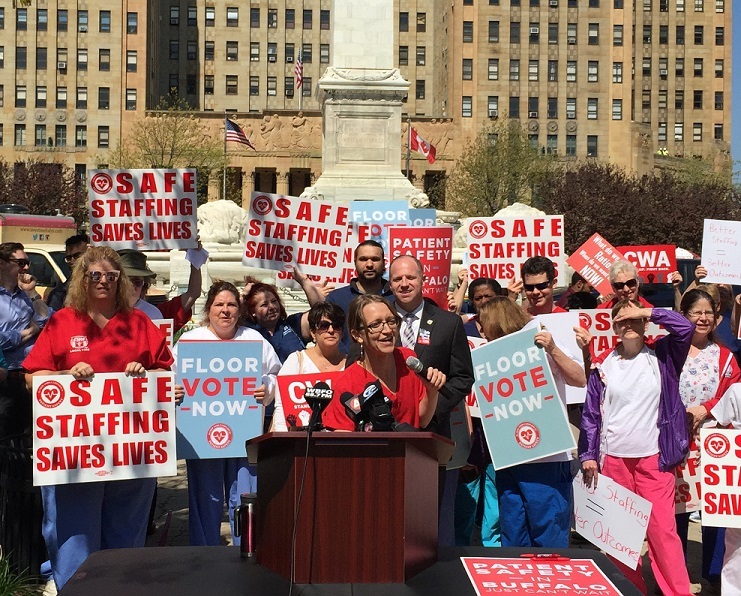 BUFFALO, NY (WBFO) – Nurses, leaders of the unions representing them, and elected officials gathered in Niagara Square late Thursday morning to rally in support of the Safe Staffing For Quality Health Care Act. “Our supporters and friends in the New York State Assembly, in 2016, managed to get this legislation out of committee and on to the floor for a vote. We need our Senate to do the same thing and then we need our governor to sign it into legislation this year,” Hayes said.